All-purpose tape system for field application in the oil patch. 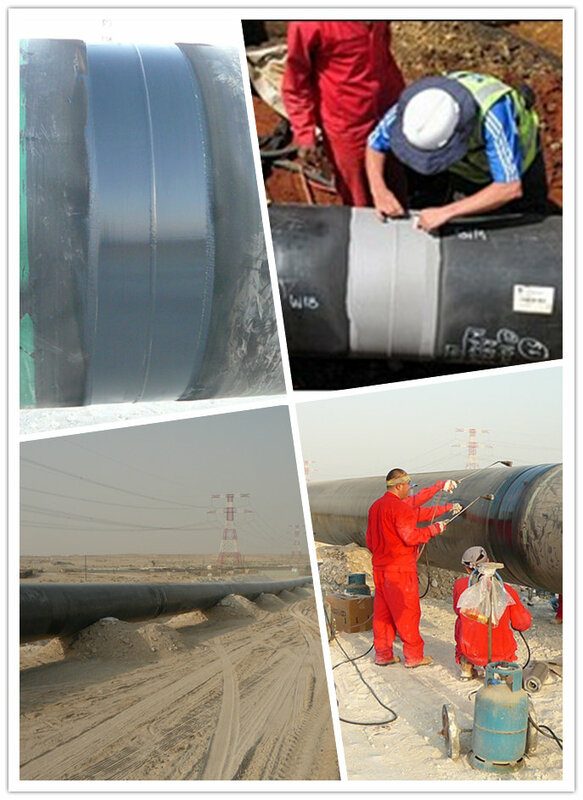 General utility tape for hand application on small diameter pipe, joints and fittings. less waste and ease of use. Cold-applied tape system with an elevated high-tack adhesive. Provides excellent conformability when hand applied to field joints, fittings and specialty piping. EN/DIN B30 Qualified. 100% solids mastic designed as a self-adhering filler material prior to overcoating with Polyken joint coating tape systems. Mechanical protection layer for use with all of the Polyken joint wrap coating products. Easy hand or (outerwrap) (outerwrap) machine application.